New Zealand farmers should end the practice of spraying crops with herbicides prior to planting and harvest after a widely used herbicide has again been linked to cancer. New Zealand NHL statistics have been rising at an alarming rate in direct relation to the increase in agricultural and council use of GBHs. Desiccation of crops and pre-seed burn off of farmland using glyphosate-based herbicides is common. The concern is that a cavalier attitude to spraying and the overuse of these pesticides is now showing up in the cancer statistics. For many years it has been claimed that GBHs are safe enough to drink and no more toxic than vinegar. However, mounting research has uncovered vital data. A meta analysis  published in the International Journal of Epidemiology (2019) found a high risk to agricultural workers, linking Diffuse large B-cell lymphoma, the most common form of NHL, to the use of glyphosate based herbicides. Glyphosate has been found in cereals, beers, wine and honey. The herbicide is now found in genetically modified foods and vegetable oils such as corn, canola and cottonseed. However the regulator Food Standards Australia New Zealand (FSANZ) that approves genetically modified foods for the food chain has never accounted for the increasingly toxic levels of Roundup herbicides when approving these novel foods. The Environmental Protection Agency (EPA) has also been implicated in covering up concerns about toxicity and rewriting industry PR in their assessments. 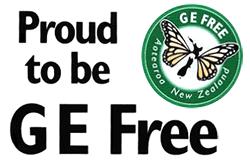 “FSANZ, and the EPA have been negligent in not properly considering the increasing use of pesticides in the work place and in novel foods they approve," said Claire Bleakley, president of GE-Free NZ. “They have ignored the concerns over GM foods carrying high levels of Roundup residue although they are responsible for protecting the public health." There is an urgent need for government to look into the increasing risk from these pesticides and the wider implications. The government must act to remove toxic pesticides and start investing in regenerative agro-ecological solutions for better environmental and human health outcomes.